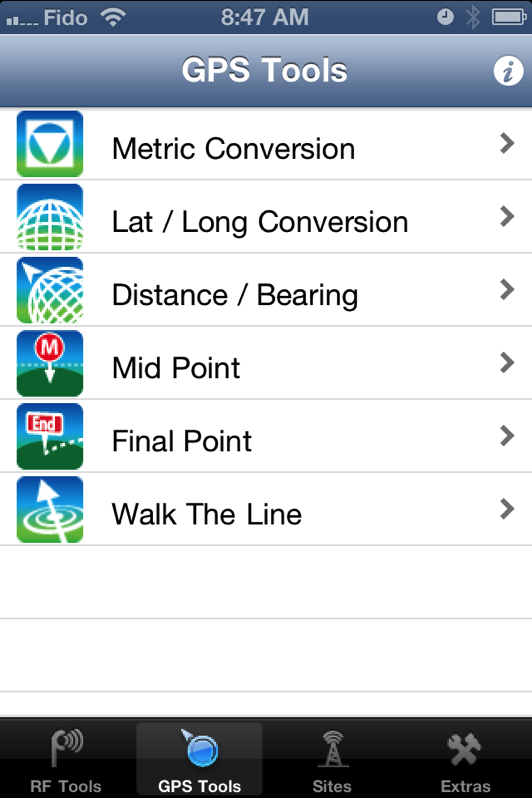 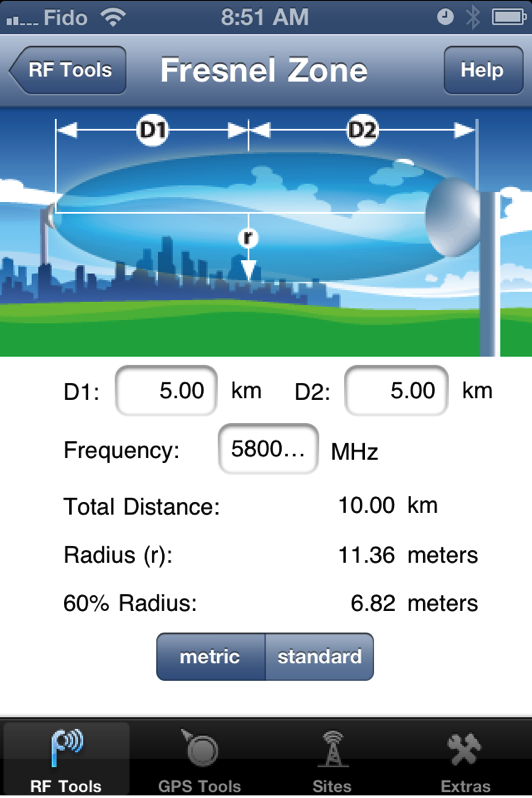 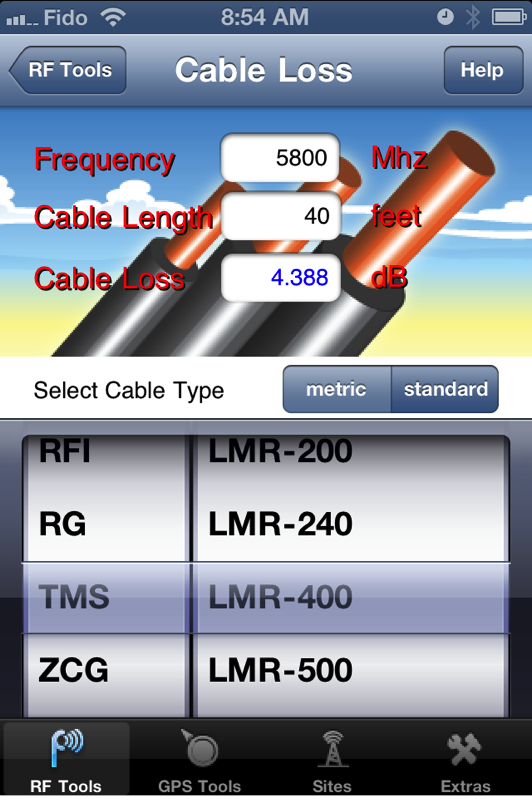 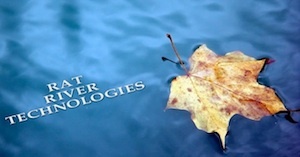 RF Toolbox is the One and Only iPhone & iPod Touch RF App that you will ever need! 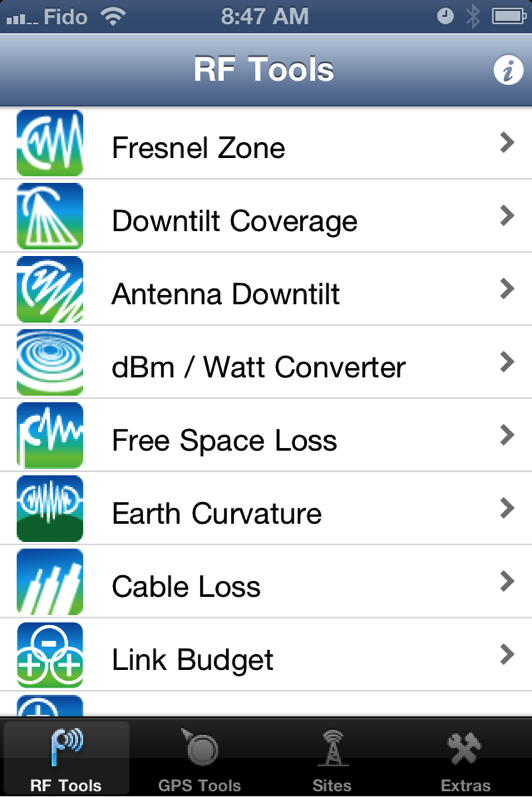 Not only does it have a complete suite of RF calculators, but it also has a complement of GPS tools as well as a Sites Database. 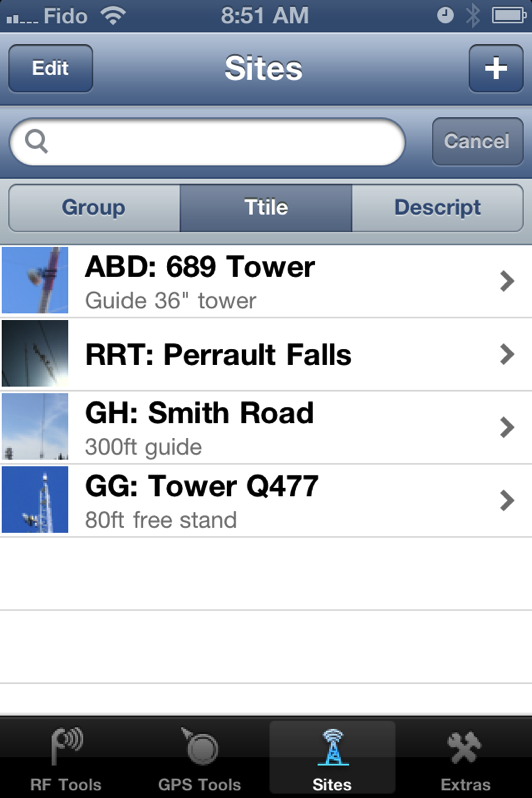 Now you can have access to your tower, antenna, and backhaul information in the palm of your hand. 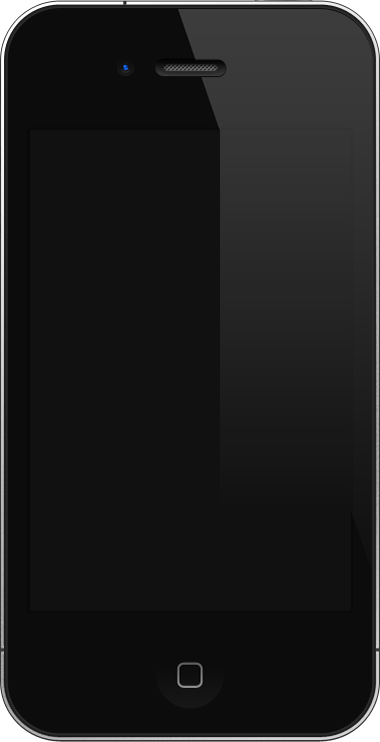 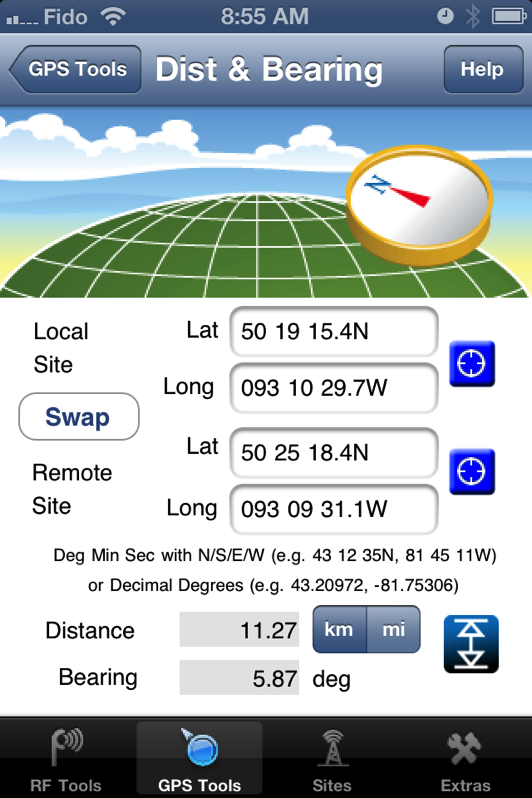 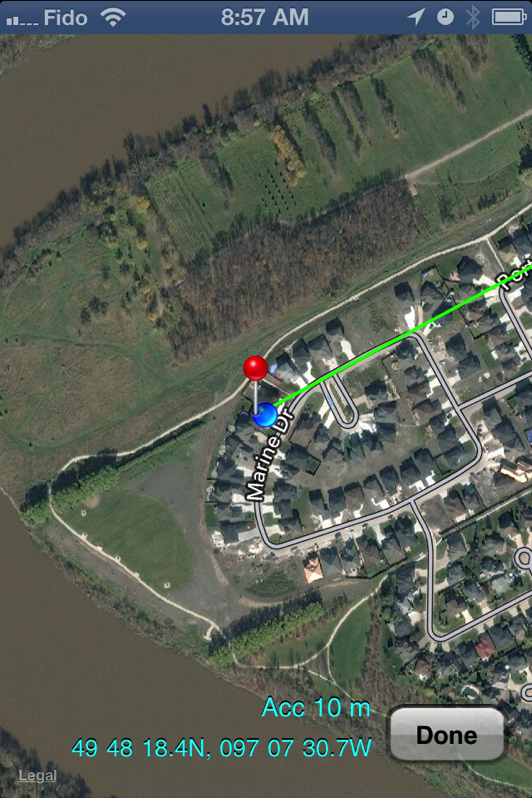 GPS Locate and Picture functions included in many tools. 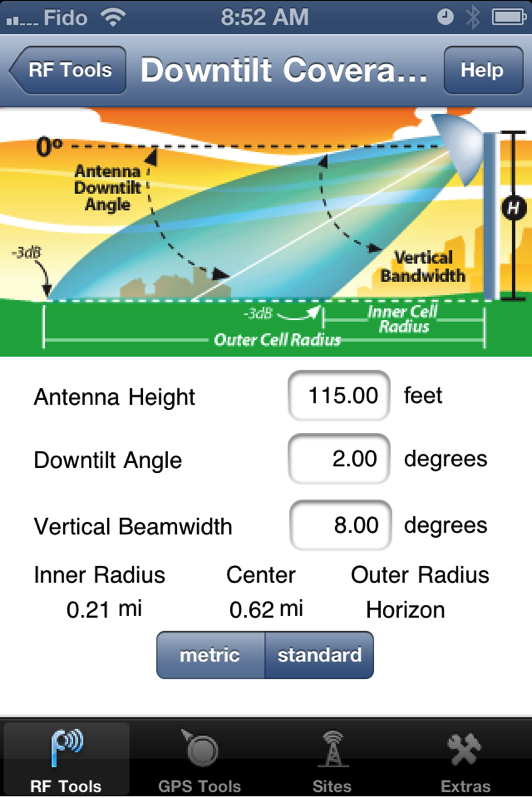 Must have for RF Engineers, Wireless Designers, Technicians, and Installers.